I have a fun sketch card to share with you today featuring the new Harvest Buddies stamp set. This set is seriously so stinkin' cute! I stamped the image on a piece of X-Press It card stock and I coloured it with Copics. Very colorful card, Julie. 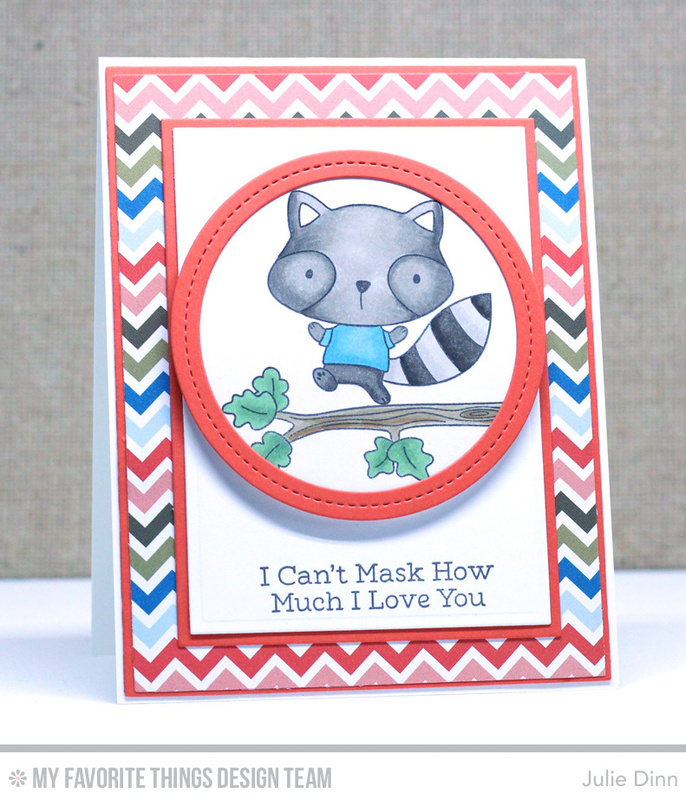 I love the sentiment "mask" with the raccoon!